Got a bad case of the winter blues today, so to keep my mind off the weather I decided to clean out my downstairs room that has been collecting a mountain of odds and ends things. I came across a old food dehydrator that my mom gave me a while back and as always my mind drifts towards fishing and the possibilities of making some sort of fish jerky with it. After last weeks loss of fish to freezer burn this seemed to be a logical alternative to just freezing all the fish I catch and fillet. 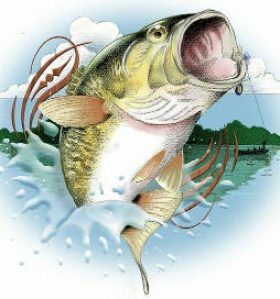 So after doing a little research on the web I found that crappie, bass, pike and trout are the best fish to use, which happens to be the very same fish I target while out fishing. I usually don’t keep bass but will probably keep a few in the future to test out in jerky. All in all it doesn’t seem like it will be to hard to make the fish jerky but with the weather as bad as its been and the slim possibility of getting to do any fishing in anytime soon I decided to try and do some apples and bananas to test out the old food dehydrator. After reading the instructions and preparing my fruits, I finally made my first batch and must admit that they turned out better than I anticipated. Im going to experiment more with the fruits and hopefully sometime in the near future report back here on how the fish jerky turns out.